Home / 2D animation / CP / movies / news / UK & Ireland / Secret Of Kells' Nora Twomey To Helm New Feature "The Breadwinner"
Secret Of Kells' Nora Twomey To Helm New Feature "The Breadwinner"
The film promises to be a very different proposition from Song Of The Sea. 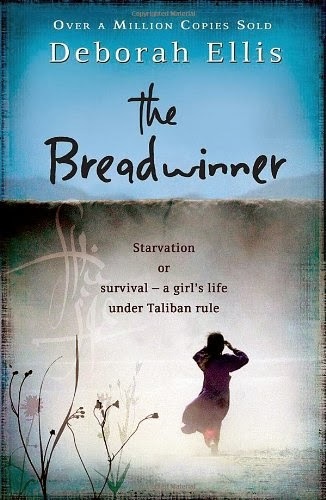 The Breadwinner focuses on a young girl named Parvana living under the Taliban regime in Afghanistan. When her father is unjustly imprisoned, she disguises herself as a boy and becomes the breadwinner of her family. Twomey will direct the movie which is being co-produced with Canada's Aircraft Pictures. Production is due to start before the end of the year. This sounds like a fascinating project, very unusual in comparison to most feature animation produced in the west. On paper it sounds quite similar to the excellent Persepolis , which likewise featured a headstrong young girl in a strict Islamic country. It will be interesting to see what style the finished work takes- will it be cartoonish like Kells or take a very different approach? You can be sure that your pals as AFA will be keeping a keen eye on this one.